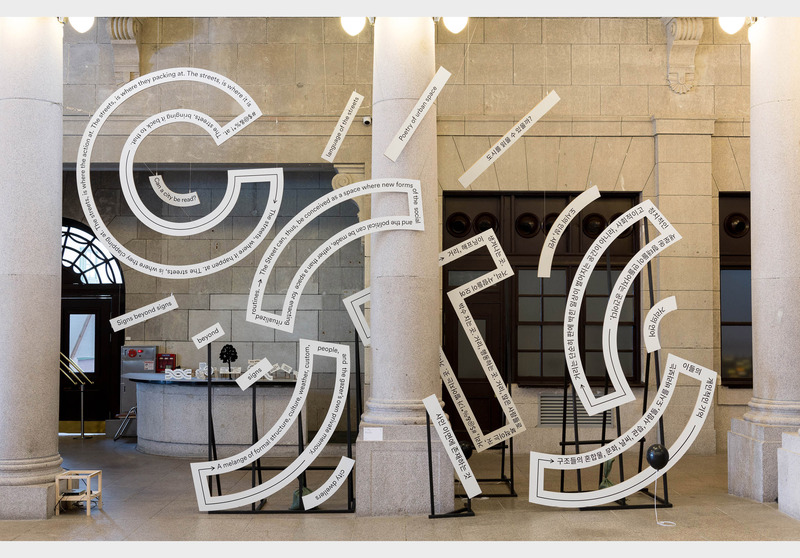 Commissioned by Typojanchi 4th International Typography Biennale 2015 in Seoul we created a new typographic installation; ‘C( )T( ) sculpture’. Typographic installation is our contribution to the biënalles ‘main exhibition’. We made an installation that plays and interacts with the neoclassical architectural elements of the building and its visitors. C( )T( ) sculpture is a large scale typographic installation based on the title and the theme of the biennale. 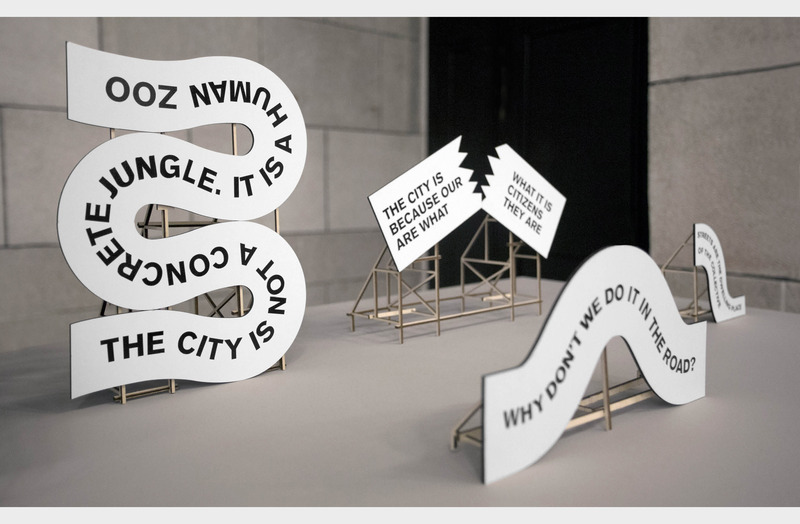 The typographic elements of the installation serve as a skin for a selection of reflecting statements on the theme city, street and public space, selected in collaboration with director/curator Kyungsun Kymn. The project is a visual follow up to the studio’s previously made ‘Street sculptures’ as part of ‘De Wereld van Witte de With ’12’ identity. A selection of the ’Street sculptures’ scale models were presented as a visual introduction and starting point to the studio’s installation. Special thanks to Creatieve Industries Fund NL for making this project possible. ©Korea Craft & Design Foundation. All rights reserved.